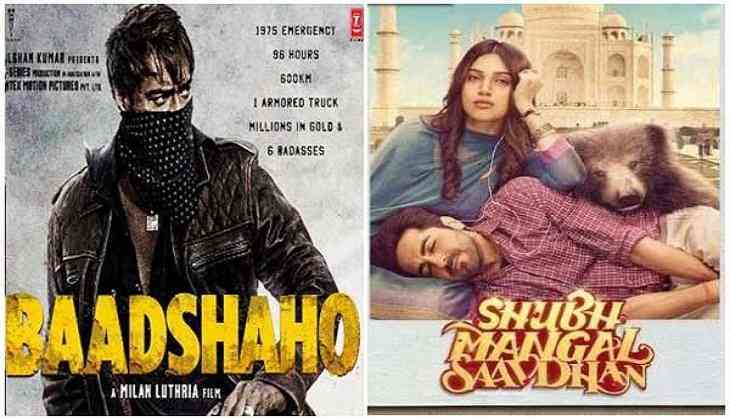 It has been an extremely good weekend for Bollywood as two films Baadshaho and Shubh Mangal Saavdhan, that hit the screens, have managed to collect a good amount of money. Baadshaho was the bigger film and that reflected in the collections too which stood nearly Rs. 50.12 crores, which is a good collection considering the drought Hindi cinema has been facing this year. The movie also features Ileana D'Cruz, Emraan Hashmi, Vidyut Jammal, Sanjay Mishra and Esha Gupta in pivotal roles. On the other hand, Shubh Mangal Saavdhan is witnessing a strong hold on screen and collected nearly Rs. 2-2.25 crore. The film is based on erectile dysfunctional and has been warming up the hearts of the audience with its quirkiness.